Newcastle owner Mike Ashley is considering four bids in excess of £300million for the club as he attempts to push through a sale before January. The sportswear tycoon revealed on Monday evening that he was in talks with several potential purchasers 14 months after placing the Magpies on the market, and voiced his hope that a deal could be done within weeks. It seems that at least four interested parties, all of them based overseas, have tabled offers and that talks are continuing amid optimism that Ashley’s timescale could be realistic. The news emerged amid reports that former Manchester United and Chelsea chief executive Peter Kenyon is ready to show his hand after spending several weeks attempting to put funding in place, while there have been suggestions that prospective purchasers from the United States, the Middle East and Turkey have made contact. Ashley revealed in a rare television interview that ongoing negotiations were “at a more progressed stage than they’ve ever been” and although his comments were greeted with scepticism by fans who saw Amanda Staveley’s proposed takeover collapse earlier this year, things appear to be developing apace. 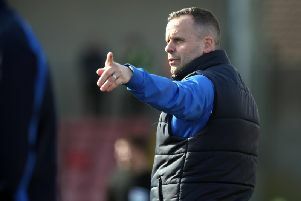 He is keen to finally offload the club at the third time of asking after a turbulent 11-and-a-half years on Tyneside which has seen him at odds with large sections of the Toon Army for much of his time in charge. Disgruntled supporters have made their feelings abundantly clear over his repeated failure to provide his managers, and in particular present incumbent Rafael Benitez, with the funding to compete in the transfer market, with Ashley having admitted he cannot afford to do so. That has left the Spaniard’s future in doubt with his current contract due to expire at the end of this season, and the fan-base will be hoping a swift and successful conclusion to talks could both secure the 58-year-old’s continued presence and provide him with a meaningful war chest. In the meantime, Benitez insisted as he prepared for Wednesday night’s Premier League trip to Everton that it was “business as usual” and expressed his hope that his players would not be distracted by events behind the scenes. He said: “I will say that I hope it will not be a distraction. Why? Because the players, they know that they have to perform, that’s it. “For us, we have experience of this. We are in the same situation that we were in before. When we say, ‘business as usual’, it’s because we know that it will not change our plans. “Our plans are to look for the (transfer) targets. Fine. We are looking for the targets, so it depends who is there and who is available.